This leather butterfly chair from nordal is perfect for creating an stylish look in the home, whether its for relaxing in the conservatory or garden. 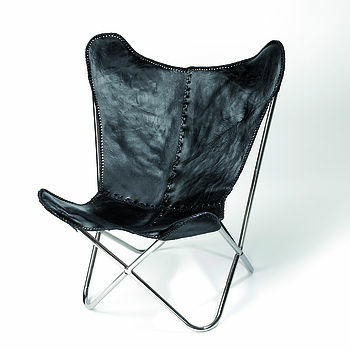 Made of leather woven together to create a comfortable seat that is stirdy through design. 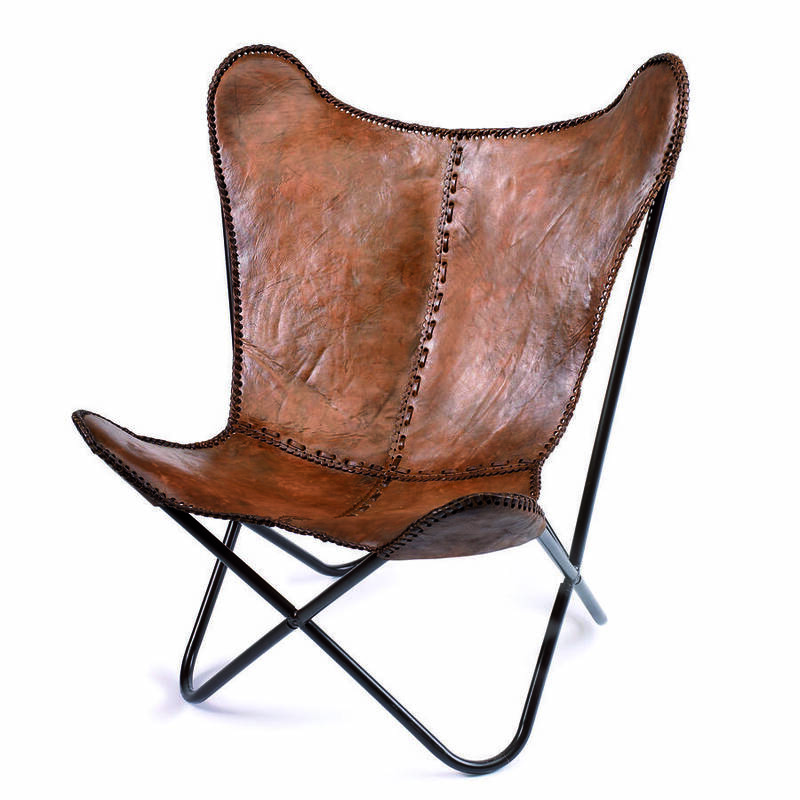 The frame is made from metal, the colour various dependant on chair.